There’s a lot of good news in the economy lately. 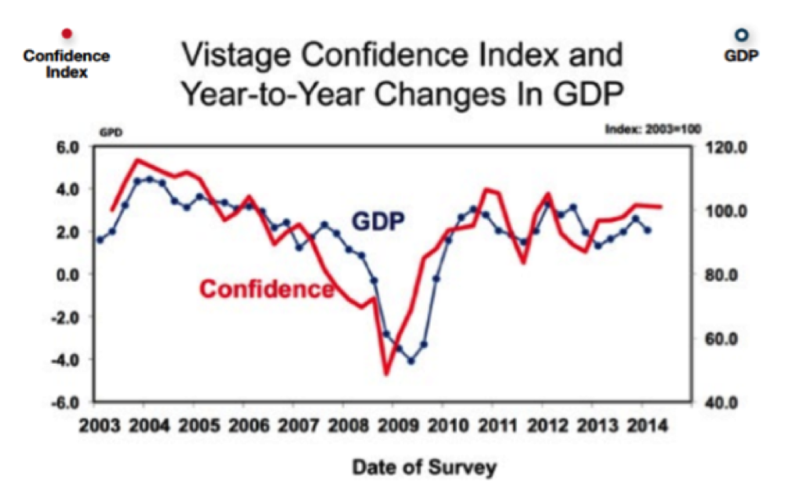 Every day seems to bring a new record high in the stock market, consumer confidence is growing and the most recent CEO confidence survey from Vistage International shows confidence is back on the upswing. From our own window at Imagine we’re seeing growing momentum for both ourselves and our clients. Frankly, it’s nice to see growth and opportunities leading the agenda again. So that’s the good news. What’s the bad? Well, with growth comes the need to add the capabilities and staff to meet the demand. As any executive of a small or mid-size business can attest, regardless of the unemployment rate, finding, retaining and onboarding the right people is the second largest problem a growing business faces (second to growth, of course). In the same survey, CEO cited hiring challenges as the #1 “biggest challenge” limiting their growth. 57% of firms were unable to identify applicants with the relevant skills and experience needed for the job. While this statistic relates to jobs in general, if you’re building your revenue generation team, the numbers are even direr. The sales and marketing world is in the midst of the largest transformation since the establishment of the professional sales function. In the 2013 report “B2B CMOs Must Evolve or Move On,” Forrester and the Business Marketing Association showed that 96 percent of marketing leaders believe the breadth of skills required to succeed in marketing has increased dramatically, and 44 percent say they cannot find the right combination of people and skills in the job market. Accenture found in its 2013 “Turbulence for the CMO” report that 39 percent of CMOs say they do not have the right people, tools, and resources to meet their marketing objectives. When you consider the research done by both The Sales Executive Council and Forrester that show that the typical B2B customer completes 2/3rds to 90% of the decision on their own without engaging with a vendor or salesperson you’ll quickly realize just how important marketing is to your revenue generation. It doesn’t take a genius to understand that if you’re planning for meaningful growth over the next two to three years, you’d better be ready to overcome the challenge of matching the right people to the marketing task at hand. The job of marketing is simply too complicated, intensive and important to be managed in a haphazard way. Invest in marketing automation, and ensure that the tools you choose support the entire revenue generation process. The marketing department isn’t about arts and crafts anymore. It requires quantitative capabilities, hard science and a mix of disciplined creativity. Many of the greatest marketers of tomorrow are going to come from nontraditional backgrounds – don’t miss out on the opportunity. If you’re serious about growth, you’ve got to get rid of the “hire-just-it-time” mentality. The market for talent is simply too competitive and finding the people that have both the talent and fit are too narrow to rely on that approach to succeed. You’ve got to be able to hire younger people, and allow them to grow. That means that you must have both the systems that allow them to be successful, and the career path that allow them to stay. I saved this for last, and if you want to throw it away because you feel it’s too much in my self-interest, go ahead. That said it’s the only viable path for sustained growth for most SMBs. Remember, the company that assembles and utilizes the greatest capabilities – not the one that hires the most people, wins the game. They want challenging, engaging work. They want to feel like they’re working with their friends. They want to be a hero. As a SMB, you can only have one competency and one culture. You can’t be both an operations/services culture and a sales and marketing culture. If you want the best marketers working on your behalf – utilize the organization that focuses on that full time. Leveraging the system, skills and talents that someone else has built enables you get through the learning curve faster, execute more effectively and grow more predictably. And if you want to own the function in the long-term, outsourcing it today will allow you to build your talent pipeline for tomorrow.